Cockroach extermination solutions in Toronto. Fully licensed and insured exterminators. Call us to schedule an inspection. We provide complete and effective cockroach extermination solutions. Our technicians evaluate each scenario and then urge the appropriate treatment. We can effectively deal with American, Brown, German and Oriental roaches. Contact us for a consultation and let’s help remove the roach infestation. While nearly every roach scenario is unique, the general rules for managing cockroach populations are removing food and water sources. The usage of lure and glue traps help affect their population directly. Dealing with cockroaches is important as their colonies can grow rapidly from the small problem to your full-blown infestation. The microorganisms causing these disorders are transported on the legs and bodies of the roach. Roaches are quite large insects have a wide, flattened body and a relatively small head but deviate from type to type. They are highly adaptable and in a few cases difficult to treat. They’re nocturnal and can feed on many different food sources. The German cockroach can be a major problem in all types of buildings, small residential, highrises, hospitals and food establishments. German roaches, use water, electrical, and heating systems and cracks and crevices to get to almost every area of a building. Effective and complete control of a cockroach population can be challenging as in most cases, the areas roaches live in are inaccessible. 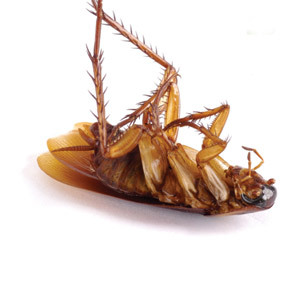 The best way to deal with a roach problem is to limit or remove food, water and shelter sources. Good hygiene and sanitation are essential. Removing food and water residues is very important. Limiting harbourage can be done by applying latex or acrylic caulking around plumbing and pipes, cupboards, outlets, sinks, toilets and cabinets. Store food in tight containers and keep all surfaces clean. 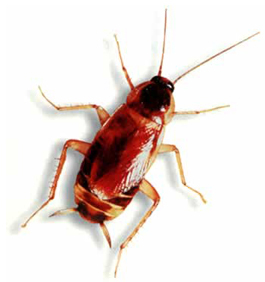 Mostly kitchens and sometimes bathrooms are the most common places where roaches are seen as they require humidity. Glue traps and limiting attractants can be an effective treatment in most cases. However, pesticide treatments are required in some cases. Our technicians asses every situation and apply insecticides only when and where needed. Having an infestation in your home is enough to have your stomach turn. Termites, rats, and rodents of all shapes and sizes cause all manner of problems that will affect both your health and the integrity of your home. Having a cockroach infestation is a serious problem. To better understand the seriousness of the problem, it helps to understand what they are, where they thrive and how to effectively get rid of them. Cockroaches are easily identifiable pests that have long antennae and legs. They somewhat resemble a beetle and depending on where you live; they come in different sizes, colours, and shapes. There are about 30 different species of cockroaches. However, four are more popular. Cockroaches are natural scavengers, they go out and collect food. Cockroaches are always on the lookout for places where they can find food. Unfortunately, this is often your home. Cockroaches thrive best in warmer conditions, and particularly in areas where the temperatures exceed 70 degrees Fahrenheit. Cockroaches love humid and dark places and will run away in the presence of bright light. You will never find them openly crawling out on a sunny summer day. It doesn’t matter how many they are in a room. The moment you turn on the light, they will scatter. Just like any other scavenger, when they discover there is plenty of food in your house, they will take up residence. Cockroaches are also attracted to garbage and garbage disposals, largely because, this is where most of the food always ends up. Having cockroaches in your building can also have adverse health effects to those living within. How Do Cockroaches Cause Allergies? Wherever cockroaches move, they leave behind traces of their existence. 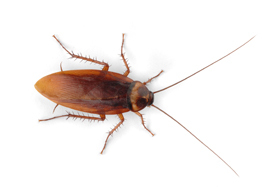 A few signs that you have a cockroach infestation include Saliva, feces, and parts of their bodies that they shed off as they grow. Just like mites, these cockroach parts that are left behind have specific proteins or allergens that are known to trigger asthma and its symptoms. Apart from the proteins that cockroaches naturally carry, there have been tests done on cockroaches to examine pathogens on their bodies. These tests have revealed that cockroaches have the capability of carrying some serious diseases. Typhoid that is caused by Salmonella Typhi has been found on cockroaches. Poliomyelitis that causes Polio has also been discovered on these insects. Cockroaches are also known to spread dysentery, a disease that is known to cause severe diarrhea and bleeding. How Do You Know You Have a Cockroach Infestation in Your Toronto Home? Seeing cockroaches in your household is evidence enough that you have a cockroach problem. However, since they run from light and are nocturnal, they might be difficult to spot. Cockroaches are known to hide in weird places, and you could find them by checking in drains or under mats. In case you do not see any cockroaches, you could still identify their presence when you find feces that look like pepper spilled on the floor. The number of feces you find will be an indication of the extent of your infestation. In some cases, cockroaches are known to emit certain smells, which may be detectable if you have a very serious infestation. Another way to detect their presence is if you find dead cockroaches and their eggs. 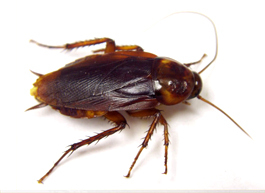 Also, if you notice those living in your house are suddenly having symptoms of allergies and asthma that include; watery eyes, sneezing, difficulty breathing or a runny nose, it could be an indicator that you have a cockroach infestation and need cockroach exterminator Toronto. You will also have to get your house examined if you and your family suddenly start experiencing severe diarrhea. 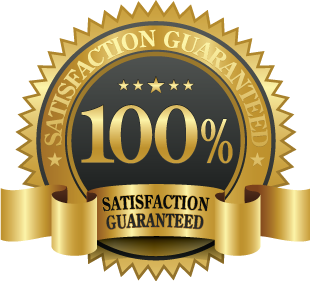 In case you notice any of the conditions explained above its important that you take a proactive step and have your house inspected by a professional pest control expert. After conducting a thorough inspection of your home, they will be in a better position to advise you on the extent of your infestation and what steps to take. Reliable and affordable cockroach extermination solutions in Toronto. We deal with all types of cockroaches regardless of how complex the infestation is. Call us any time to book a treatment or an inspection. Where Do Cockroaches Like to Hide? What Health Risks can Cockroaches Cause?